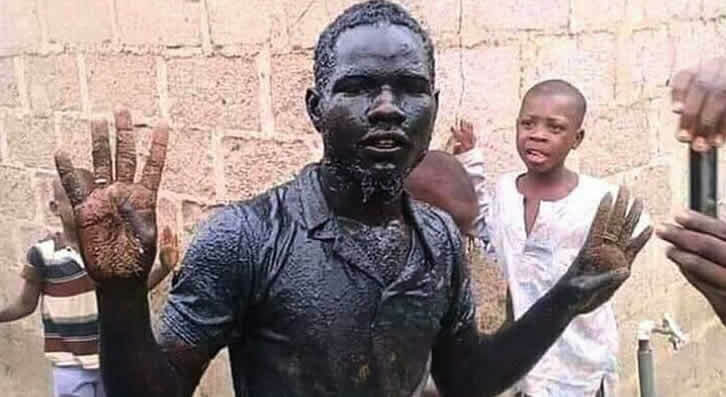 President Muhammadu Buhari’s Personal Assistant on New Media, Bashir Ahmad, has praised Aliyu Sani, the man whose picture went viral after he allegedly immersed himself in a gutter and drank its contents while celebrating Buhari’s re-election. Sani was reported by some blogs to have died of gastrointestinal bleeding days after the act. However, the young man, who was found by a member of the Buhari Media Organisation, Musa Azare, in Bauchi, said he did not die, adding that Sani only jumped into the gutter out of excitement. Reacting on Twitter, however, Buhari’s aide said the young man, who is a painter, will be moved to the ‘Next Level’ with other Nigerians. The post What Buhari’s Aide Told APC Supporter Who Drank Gutter Water To Celebrate President’s Re-election appeared first on Naijaloaded | Nigeria’s Most Visited Music & Entertainment Website. ‘It Started As A Joke’ – Says Man Who Impregnated 2 Of His Married Neighbours.